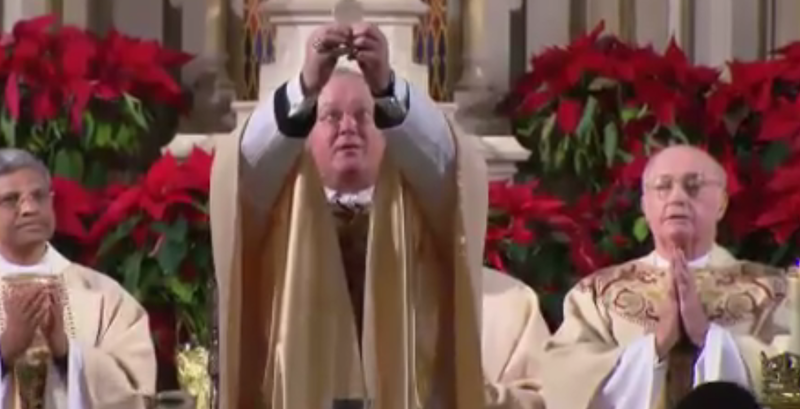 Archbishop Dolan: If Gays Marry, Can I Marry My Mom? "Will you marry me, Mama?" “We would say marriage by nature, marriage by definition is between a man and a woman for life, giving children. Don’t tamper with the definition. If you want to give latitude to other types of relationships, go ahead. But please don’t tamper with that definition of marriage. It is a right for people who can live up to those expectations that are just encoded in the definition. It’s not a right to those who can’t. OK, so that part didn’t happen. But Dolan really did just answer this rational question with, “If gays marry, then can I marry my mom?” Which, of course, absolutely nobody else in the world except for this priest is thinking. Perv. No. No you cannot marry your mother when gays are soon awarded the federal right to marry. Don’t ever bring up that asinine question again. Holy man or not, you’re an idiot. What do you think of the Archbishop’s thoughts on gay marriage?